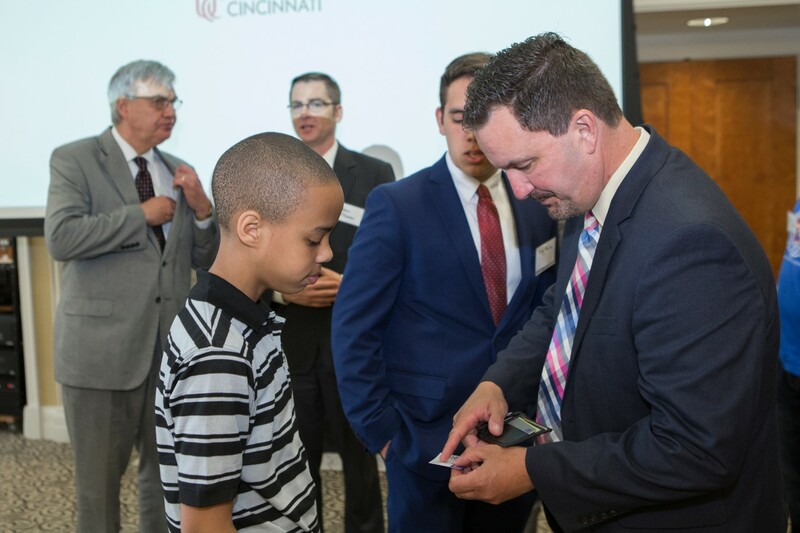 University of Cincinnati’s School of Information Technology will be home to Ohio’s innovative training and testing tool, the Ohio Cyber Range. 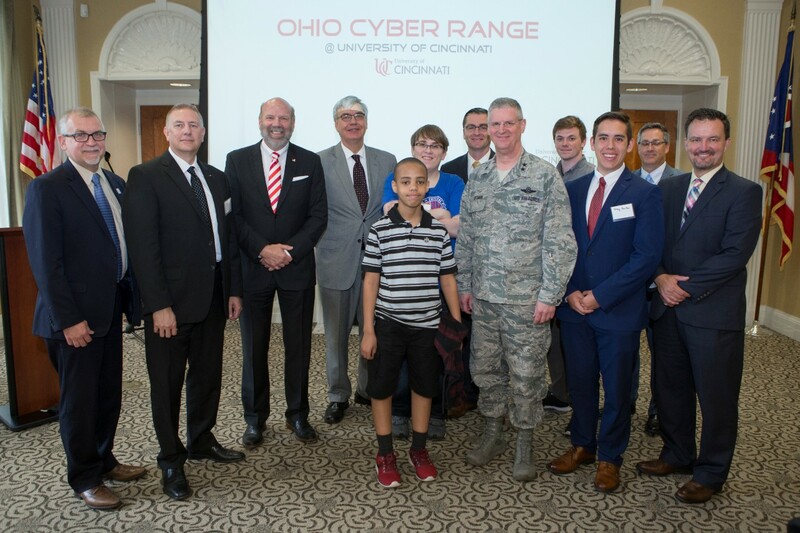 Tuesday, May 29, 2018 — Officials with the Ohio Department of Higher Education, the Ohio Adjutant General’s Department and the University of Cincinnati gathered Tuesday to celebrate the unveiling of the Ohio Cyber Range, the next step in Ohio’s innovative approach to improving the state’s cybersecurity capabilities and talent pipeline. 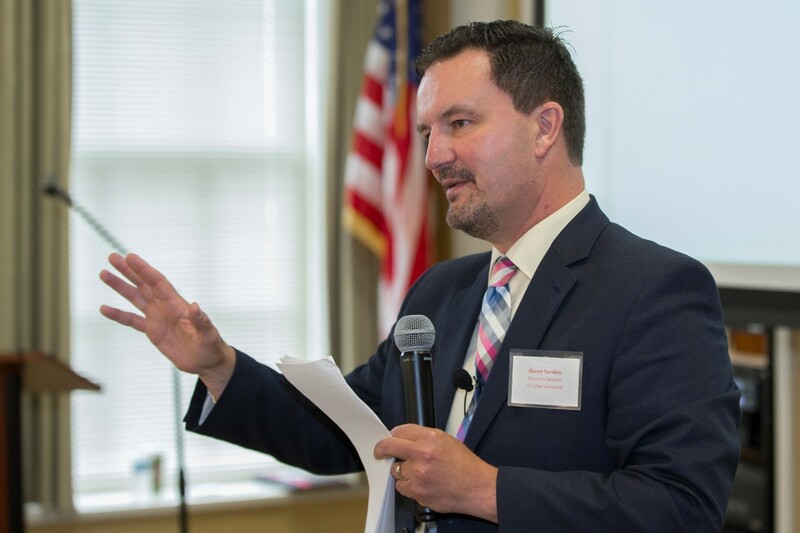 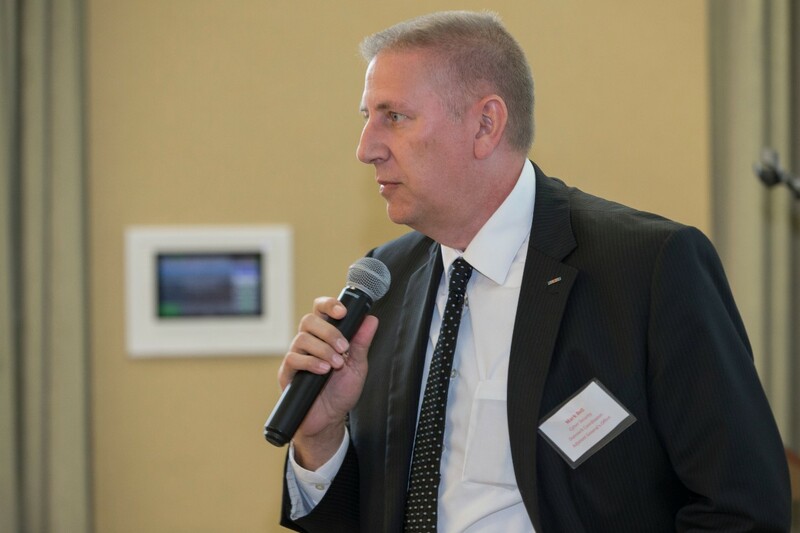 “The Ohio Cyber Range at UC will play a critical role in the advancement of cyber security education and research in the state of Ohio by tapping the unlimited potential of students, businesses and government,” said Stephen J. Smith, director of the Ohio Cyber Range at UC. 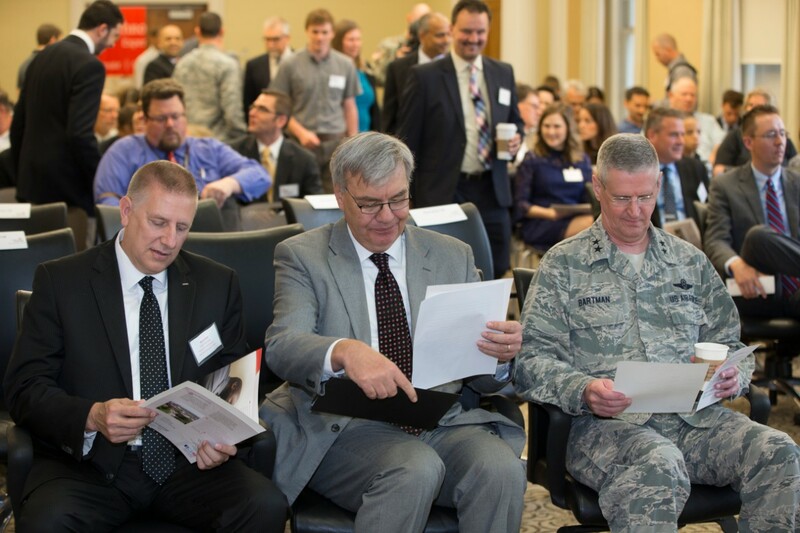 The Ohio Cyber Range is one of many initiatives developed by the Ohio Cyber Collaboration Committee, a collaborative effort led by the Adjutant General’s Department at the request of Gov. 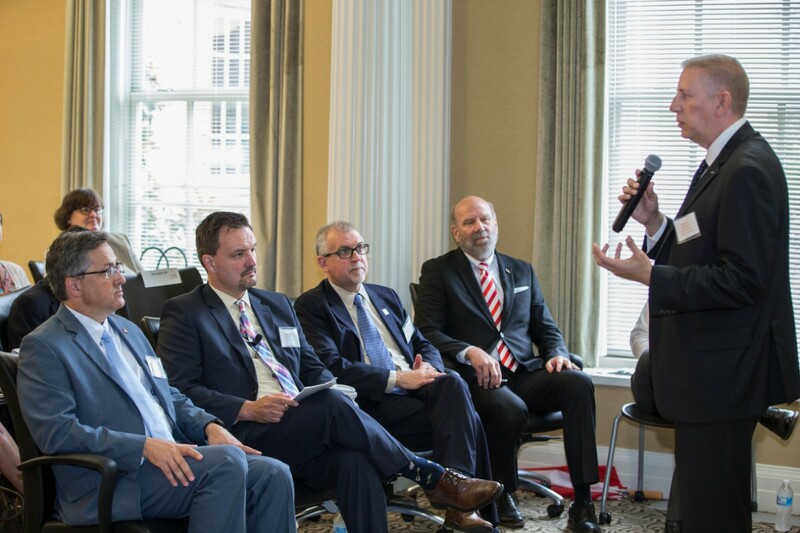 John R. Kasich to improve cybersecurity infrastructure and provide innovative training and education to strengthen Ohio’s cyber workforce. 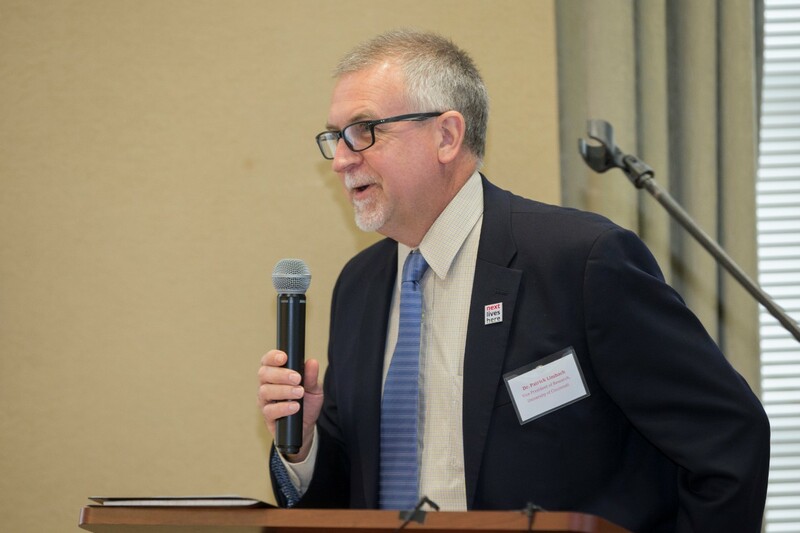 The Ohio Department of Higher Education, in collaboration with the Ohio Adjutant General’s Department, awarded UC $1.9 million to establish a demonstration site for the Ohio Cyber Range by June 2019. 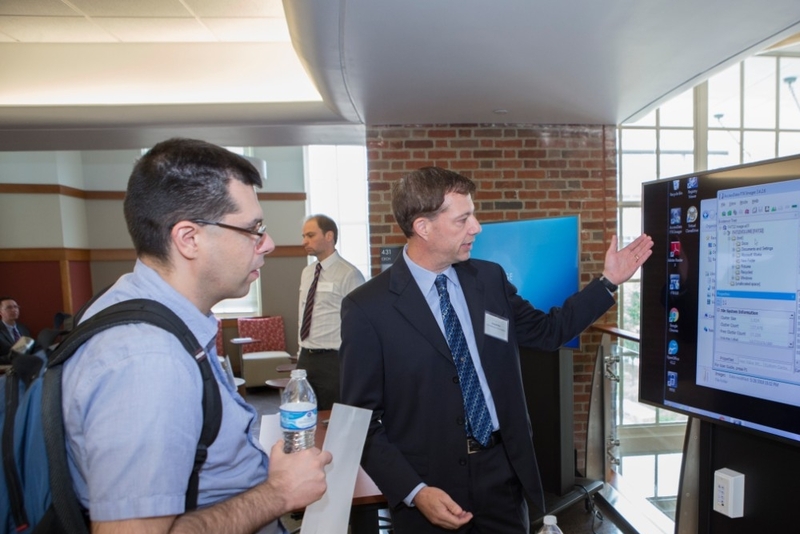 UC’s Sandbox system will serve as the foundation of the Ohio Cyber Range. 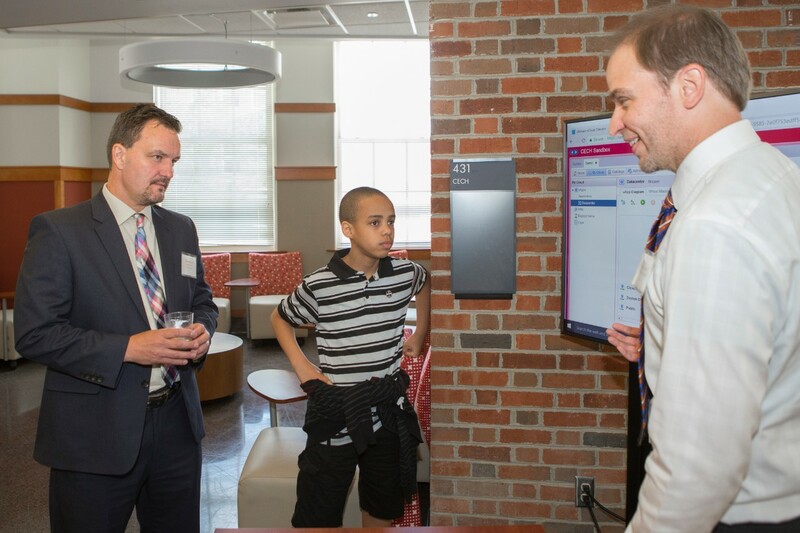 UC’s College of Education, Criminal Justice and Human Services invested about $500,000 in the creation of Sandbox, which was developed by two IT students for their senior design project. 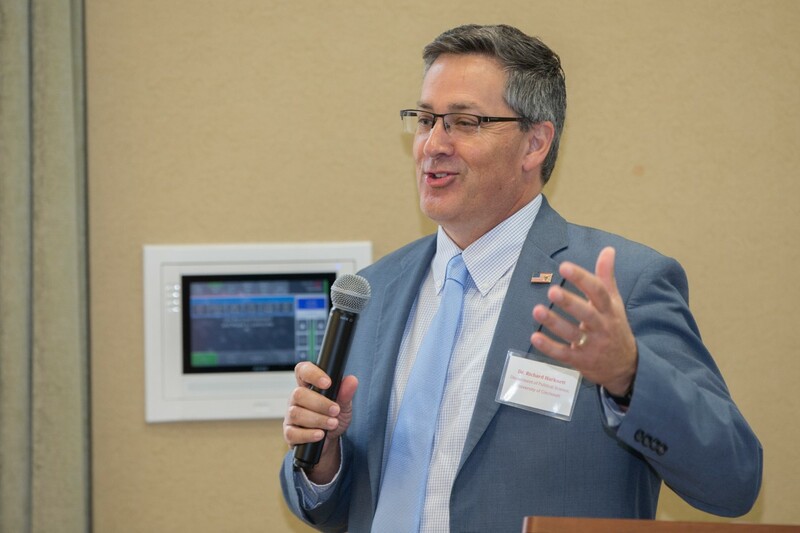 The state’s investment will greatly improve the Sandbox’s computing power and capabilities, expanding the number of users the Sandbox can serve and the number of computers it can simulate. 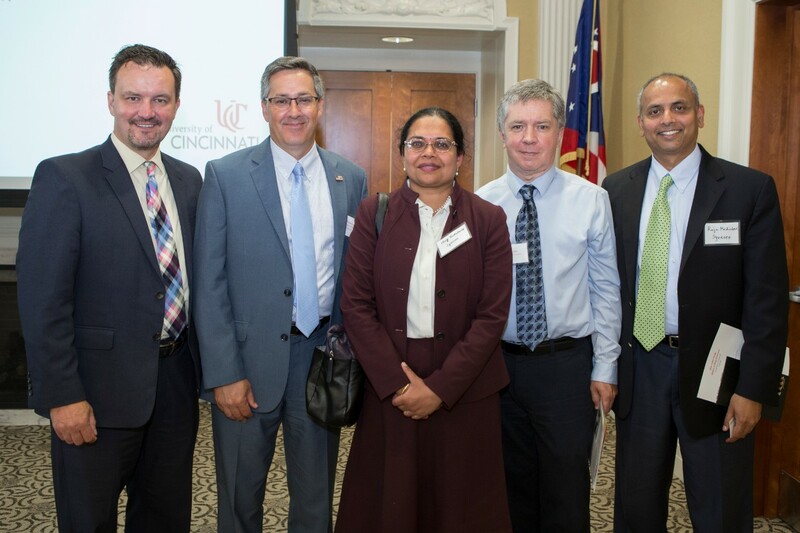 The University of Cincinnati is a national leader in cyber education and has been designated a Center of Academic Excellence in both cyber operations and cyber defense education by the National Security Agency. 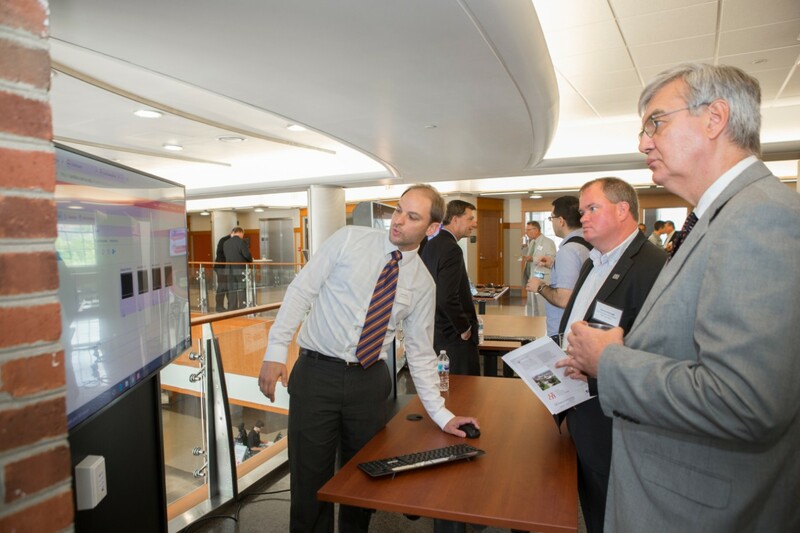 Ohio Department of Higher Education Chancellor John Carey, right, receives a demonstration of the Ohio Cyber Range. 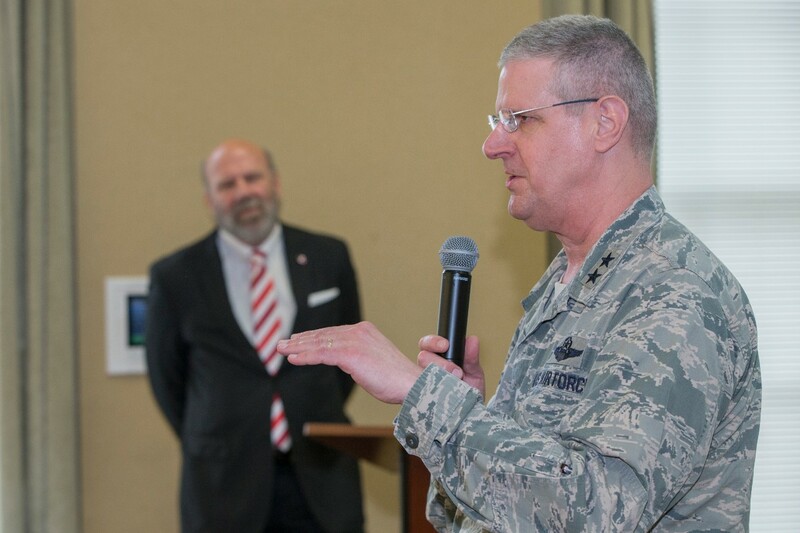 Maj. General Mark Bartman, the adjutant general of the Ohio National Guard, speaks at the ribbon cutting for the Ohio Cyber Range as OCR director Stephen J Smith looks on.